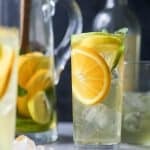 Easy Citrus White Wine Sangria, the perfect refreshing cocktail for those hot summer days! 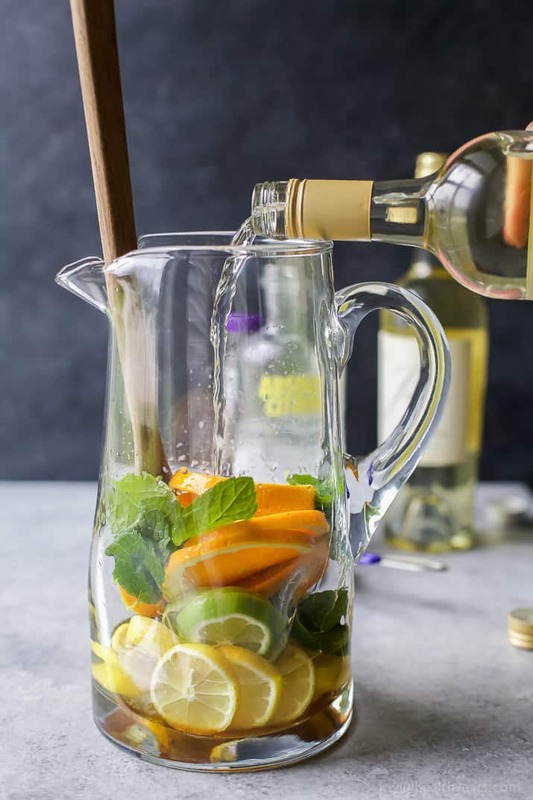 Easy Citrus White Wine Sangria with loads of citrus, white wine and citrus vodka. 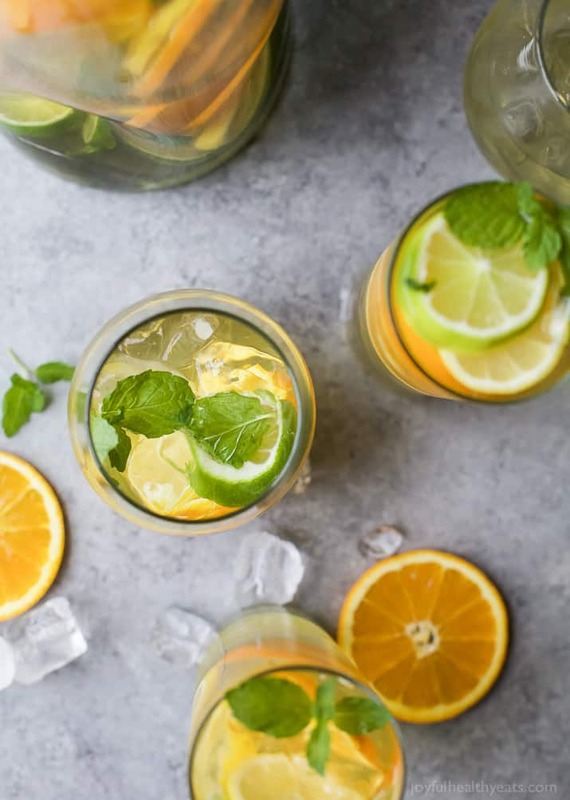 It’s the perfect refreshing cocktail to sip on those hot summer days! So last week we had our pool drawn out on the grass with spray paint. Then two days later they came and dug a huge hole with a bobcat digger (it looks like avalanche for those of you who have seen “planes: fire and rescue”). It feels kinda surreal to finally have a pool and definitely weird to have a huge hole in our backyard. The next day, bright and early they showed up and started to put the steel rebar in. It was 6:40am and Cason had ran upstairs, got dressed and was running down to the backdoor to go watch the workers. That day they got all the steel rebar up in for the entire pool, put the plumbing in and then sprayed the gunite (basically concrete) and smoothed it out. So we officially have a “pool” for all intensive purposes. Tomorrow they are coming to put the rock wall in and start on stone work. It’s so crazy how fast they are moving and I cannot wait to enjoy my pool time fun in the heat of summer! Thank you Jesus for a pool! When you live in Texas you NEED a pool during the summer months or it’s just miserable. 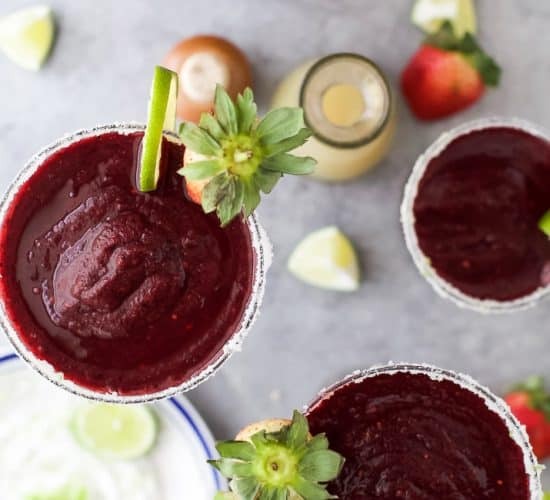 Something else you need are ice cold cocktails to sip by the pool! 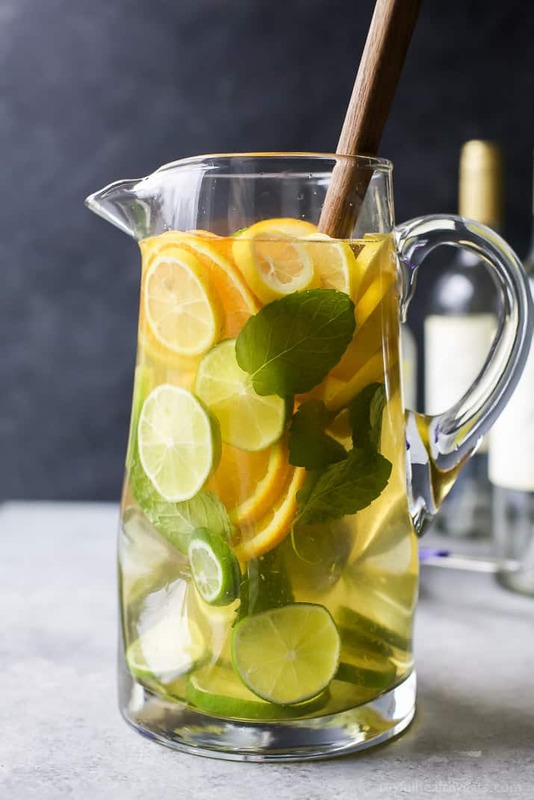 Which is why today is all about this Citrus infused White Wine Sangria! 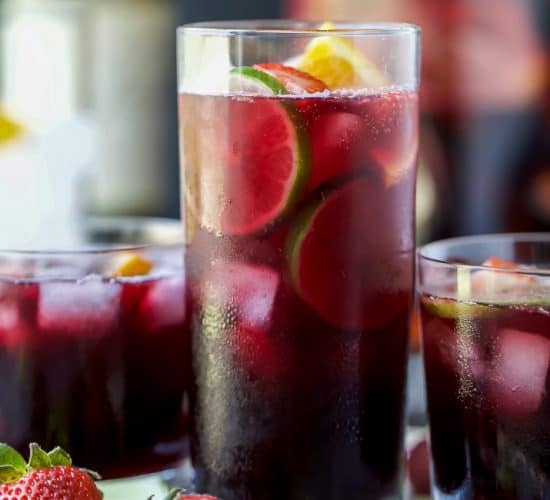 Sangria is probably one of my favorite cocktails to drink in the summer. Because it can be made in bulk. It has wine.. and I’m a lover of wine! You can throw just about anything in and it’s going to be good. 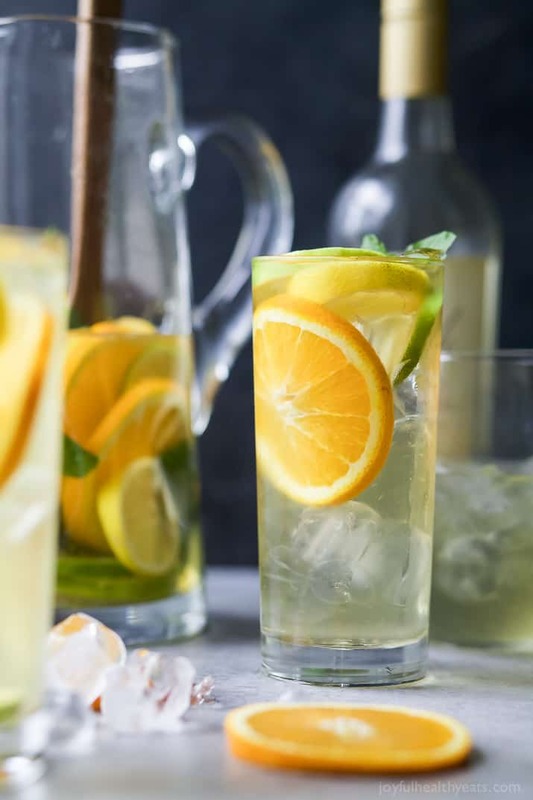 Ya’ll.. this cocktail is loaded with all kinds of citrus fun. Not only is it pretty to look at, but it is dreamy to drink. 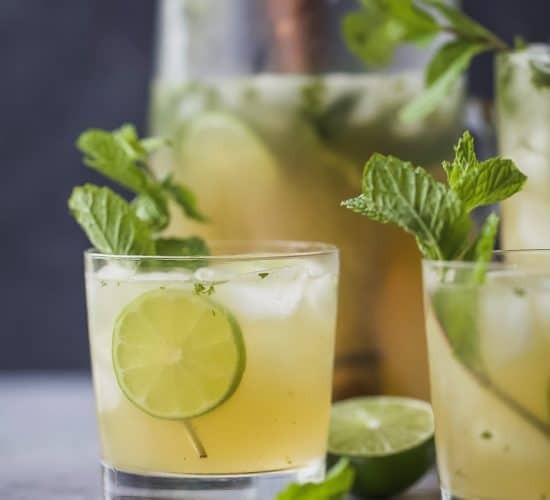 It’s super light and refreshing, which is perfect for the summer and can be made ahead of time. So Happy Memorial Day to us! I hope you have a great start to your week, make lots of memories for friends and family and prepare to enter the best season eva… SUMMER! 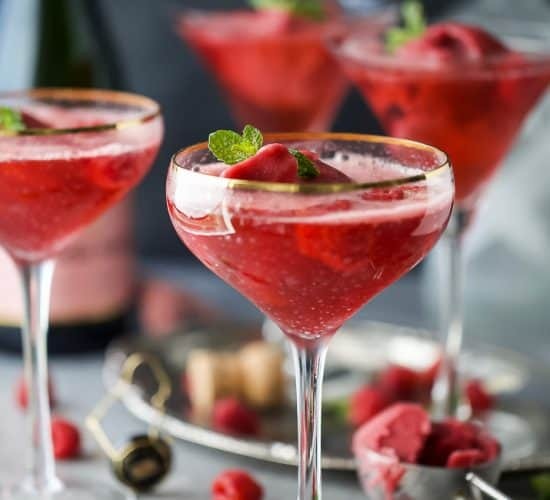 Want More Fun Summer Cocktails? It doesn’t get much better than a icy cold drink while sitting by the pool! Love the citrus twist in these! We live in Texas and do not have a pool. Saddest of sad faces for the impending summer. 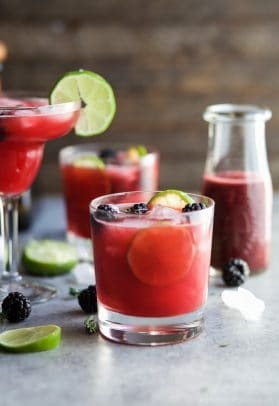 But yay for y’all and for this new pool of yours and for hopefully sipping this sangria by it! 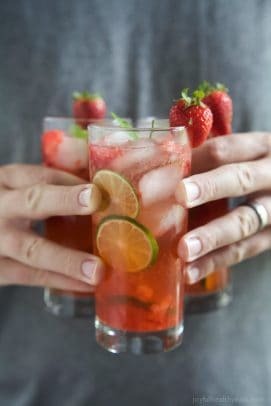 This is definitely perfect for a hot summer’s day! ohhh girl I’m sorry. Texas summers are brutal. Turn the sprinkler on and run through it! 🙂 hehe And drink that sangria! How exciting to be getting a pool! I know you’ll enjoy it! And you have the perfect drink to go with it! 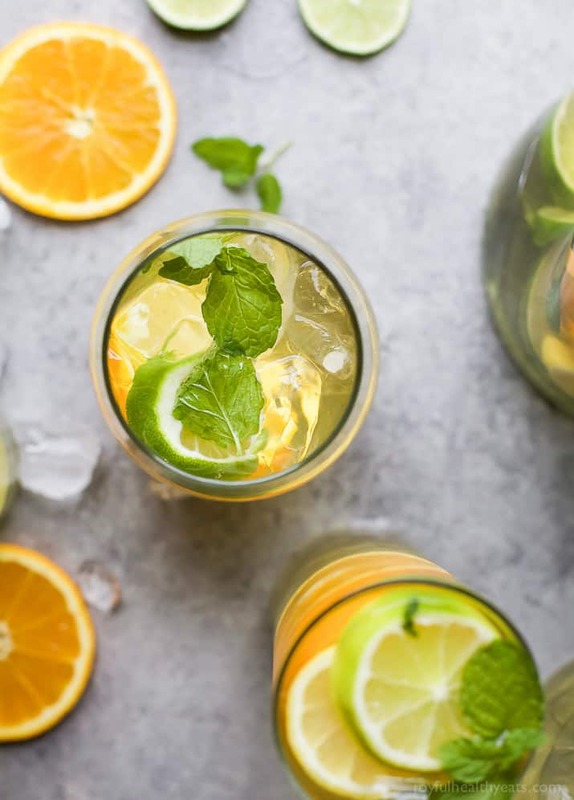 Gorgeous photos and I love all that citrus! Yes, please! This looks SO amaaazing!! Can’t wait to try it! Sign me up! Perfect by the pool this weekend! yes mam! pool time and sangria sounds great to me! 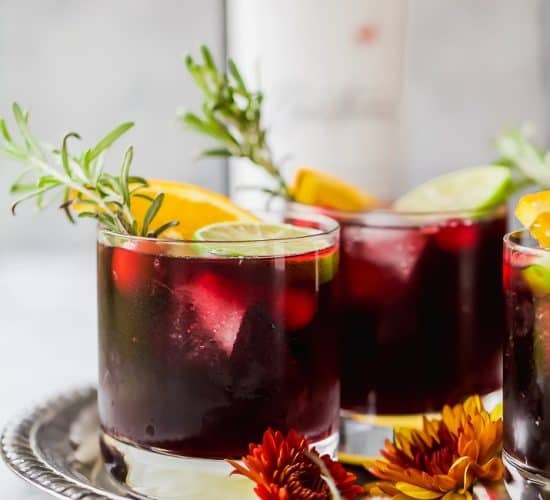 I’m always down for a nice sangria! 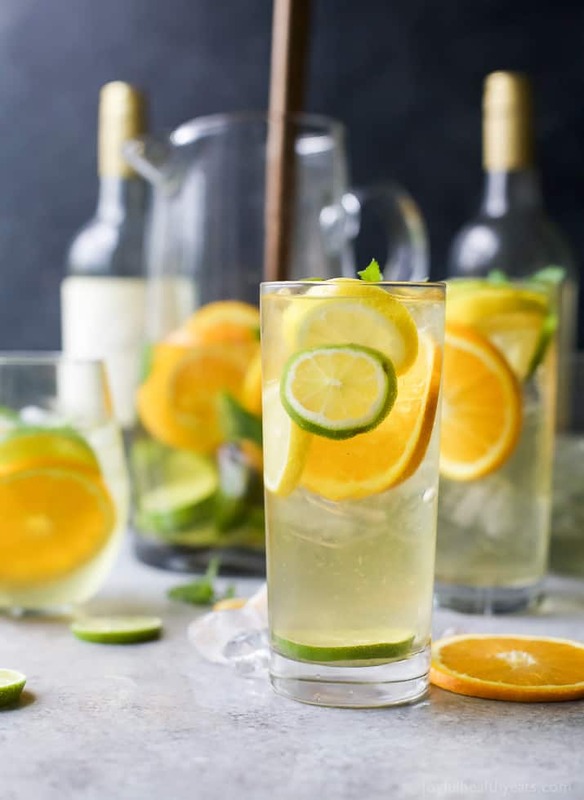 I adore citrus with white wine! 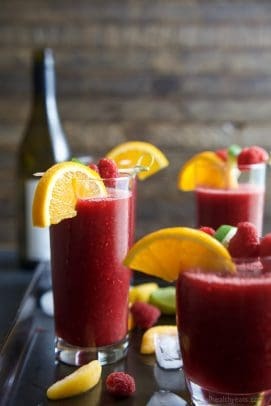 This sangria is calling my name!